Boston’s Theater District borders Downtown Crossing, Chinatown and the Boston Common, and is known for – you guessed it – theater. This diverse, eclectic neighborhood is full of history and today is a destination for art, entertainment and nightlife. It’s here you’ll find the city’s top venues for theater, including the Boston Opera House, Wang Theatre, Wilbur Theater, Charles Playhouse, Shubert and more. Boston’s theater scene took off in the 1900s with around 50 theaters with movie theaters and other entertainment venues following by 1950s, many of which are within the boundaries of today's Theater District. However, back in the day, the Theater District got a bad reputation given that it doubled as the red-light district which also led to crime. The late-1970s brought the preservation and restoration of this these buildings and the ultimate revitalization of the Theater District neighborhood as a whole. Over time, entrepreneurs and universities like Emerson College, known for its performing arts, and later Suffolk University restored many of the theaters. Shops, restaurants and eventually hotels and luxury condos also opened up, welcoming people from near and far into the neighborhood. Today, you’ll see students and professionals in the neighborhood during the day. In the evenings, you'll spot both locals and tourists seeing shows and enjoying the area’s restaurants and bars. Boston Opera House: The first show at what is now the Boston Opera House took place in 1928. After decades without regular maintenance, in 1995 it was named one of the Most Endangered Buildings list by the National Trust for Historic Preservation. Because of this, the Boston Opera House went through a restoration in the early 2000s, which included updating it to ensure it could large Broadway productions. It reopened in 2004 and immediately hosted "The Lion King" to kick off today’s rotation of Broadway shows, along with the Boston Ballet Nutcracker holiday shows and more. The Boston Opera House can be found at 539 Washington Street and tickets are on sale at boston.broadway.com. Charles Playhouse: In 2014, the Charles Playhouse celebrated its 175th anniversary with a $2 million renovation. Owned and run by Broadway in Boston, this venue is home to popular shows like "Shear Madness" and performances by the Blue Man Group. 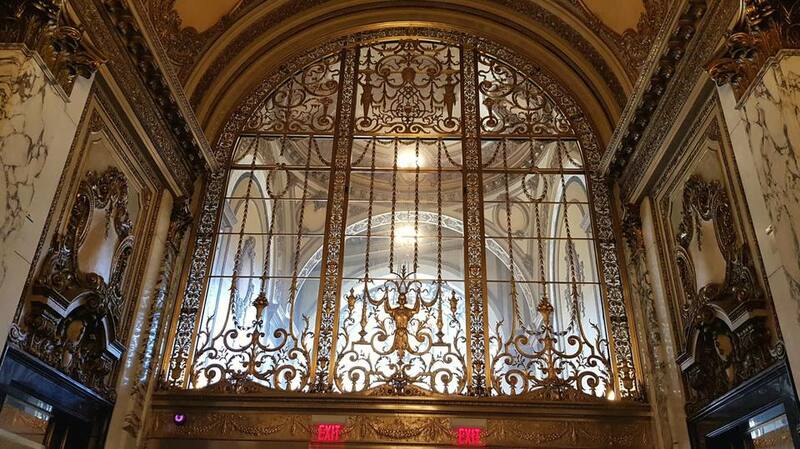 It was originally designed as a church and then became the first synagogue in Boston. From there, it was a speakeasy during Prohibition and then a nightclub following World War II. The Charles Playhouse first started showing plays and the like in 1958. You can find it at 74 Warrenton Street and tickets are available through boston.broadway.com. Emerson Colonial Theatre: The Emerson Colonial Theatre, Boston’s oldest continuously operated theater, has been open since 1900. It was revived, restored and reopened in 2018 with the pre-Broadway World Premiere of "Moulin Rouge." It’s also been home to shows like "Oklahoma!," "Anything Goes" and "Grand Hotel." While it’s been restored, it has kept much of its original details. Here you can also find live music, comedy and other events. The Emerson Colonial Theatre is located at 106 Boylston Street. Shubert Theatre: The Shubert Theatre is known as the Theater District’s “Little Princess,” as it fits 1,500 people and is where many local community arts groups perform. It’s also home to many of the touring companies that present Broadway and other performing arts. From 1910 to 2010, it was where Broadway shows like "Cats," "Les Miserables" and "Jersey Boys" performed, with a bit renovation taking place in 1996 specifically to premiere the musical "Rent." Today, it functions as a community arts center. The Shubert is located at 265 Tremont Street and tickets are available at bochcenter.org. Wang Theatre: Formerly called the Music Hall, this venue is part of the Boch Center and has been holding performances since 1925. It was restored in 1983 and now holds an audience of 3,500 with one of the largest stages in the U.S. Here you can see everything from "How the Grinch Stole Christmas" and Dancing with the Stars Live, to "Paw Patrol Live," "Mariah Carey" and "Jerry Seinfeld." The Wang Theatre is located at 270 Tremont Street and tickets can be purchased at bochcenter.org. Wilbur Theatre: Built in 1914, the Wilbur Theatre’s design was inspired by American Colonial architecture, which hadn’t yet been done before in Boston. It was revitalized in 2008 and is now a popular destination for comedy shows and music performances, with talent ranging from Jimmy Fallon and Pete Davidson, to Gavin DeGraw and UB40. The Wilbur Theatre is located at 246 Tremont Street and tickets are available at thewilbur.com.